We aim to make the sessions as practical and as safe as possible. 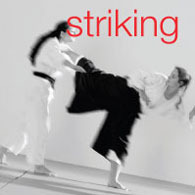 Our emphasis is on learning how to make techniques work in realistic self defence situations. We aim to teach anyone, of any ability, shape or size, how to look after themselves. Sessions begin with a warm-up and some strength training, to get your body ready for jiu jitsu and also to improve your general fitness and flexibility. 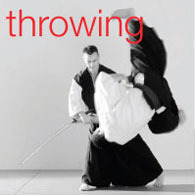 We then do quite a bit of falling practice, so you can learn how to fall from throws safely. Like everything else in jiu jitsu, instruction is gradual, and students are not asked to move on until it is safe for them to do so. Next, the instructor demonstrates a technique and the class pairs up to practice it. From the beginning, you will train with other people and get a feel for moving and responding to simulated attacks. This kind of practical training is part of the essence of jiu jitsu: we try to make training as realistic as possible. There are no set moves or choreographed attacks as you progress — you just learn to deal with whatever is thrown at you. But training is gradual. You will probably start by learning to defend yourself from a wrist grab. As you improve you will work your way up to defending yourself against more difficult attacks, like punches and kicks, then weapons, then multiple attackers, then multiple armed attackers. Jiu jitsu becomes more physically and mentally challenging as you move up the grades. At each belt you’ll learn something new about falling, striking, locking, restraining, and throwing, and you’ll have new kinds of attacks and weapons to deal with. Each session is different, and you’ll learn something new every time you train. The session continues with demonstrations and practice, usually culminating in the opportunity to see whether or not the techniques you have learned can be applied under pressure. We then repair to the pub, for some well-earned frosty beverages. By training regularly, you will improve your general fitness and flexibility, coordination, muscle tone and, of course, your capacity to deal with aggression. If you want to get fit and learn how to look after yourself in a friendly atmosphere, then jiu jitsu is ideal. Here’s how to join the UCLU Jitsu Club. Any questions? Contact us.